Oceania Cruises has announced its fourth 180-day world cruise for 2017, citing "overwhelming demand from guests." Scheduled to depart on January 6, 2017, the cruise line called the sailing aboard the Insignia "the longest and most comprehensive world cruise itinerary in the entire industry." 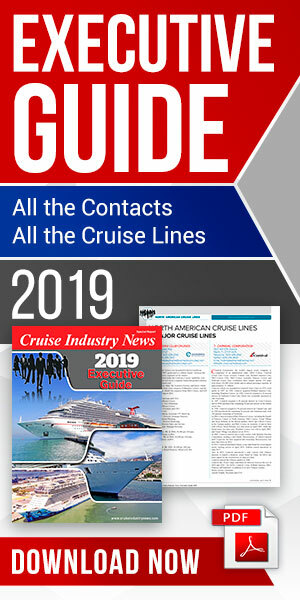 The 2017 version will take guests to six continents, 36 countries, 50 UNESCO World Heritage Sites and 98 ports of call, including stops in Spain and Turkey not offered during previous world cruises. Embarking from Miami the Insignia will set sail for the Caribbean before passing through the Panama Canal and making several calls on the Pacific coast of Central America. After departing San Diego, she will cruise the Pacific to the Hawaiian Islands, French Polynesia, American Samoa, Fiji, Vanuatu and New Caledonia. After numerous stops throughout Australia and New Zealand, passengers will cross the Timor Sea to Indonesia and explore the Java Sea before passing through the Karimata Strait to Malaysia. Cruising the South China Sea, the Insignia will call on Brunei, the Philippines, Taiwan, China, Vietnam, Thailand and India. From there the ship will cross the Arabian Sea to the United Arab Emirates and Oman. Next on the journey, the Insignia cruises the Red Sea to Jordan and Egypt before passing through the Suez Canal to Israel and southern Turkey. The ship then spends an extensive period of time in the Mediterranean, visiting coastal cities in Greece, Italy and Spain before reaching Gibraltar and re-entering the Atlantic Ocean. She will continue sailing the Atlantic coast of Spain and call on cities in Portugal, France and Ireland, before crossing the Atlantic to Newfoundland and cruising up the St. Lawrence River to Quebec. She will also visit the New England coast, New York City and overnight in historic Charleston, South Carolina before returning to Miami on July 6. The voyage will include 16 overnight stays. Rates for the full 180 days start at $39,999 per person.